Microbial communities are critical to ecosystem function. A key objective of metagenomic studies is to analyse organism-specific metabolic pathways and reconstruct community interaction networks. This requires accurate assignment of assembled genome fragments to genomes. Existing binning methods often fail to reconstruct a reasonable number of genomes and report many bins of low quality and completeness. Furthermore, the performance of existing algorithms varies between samples and biotopes. Here, we present a dereplication, aggregation and scoring strategy, DAS Tool, that combines the strengths of a flexible set of established binning algorithms. 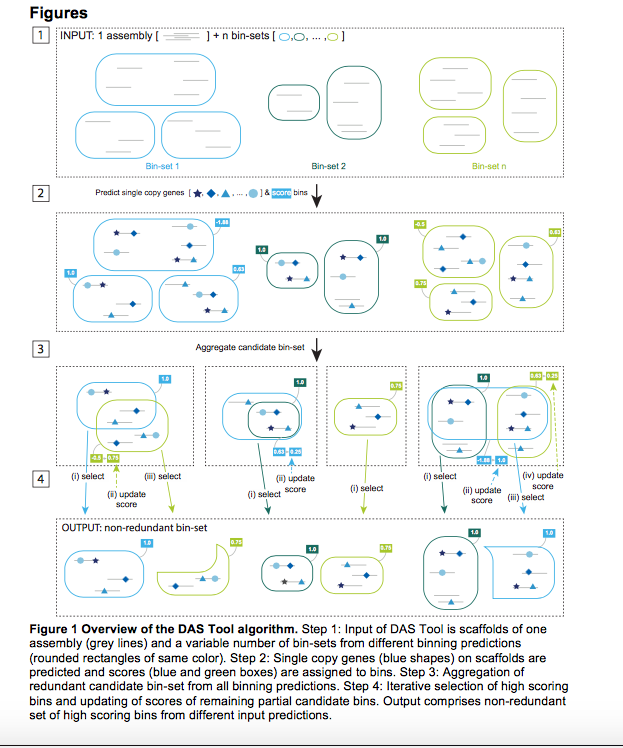 DAS Tool applied to a constructed community generated more accurate bins than any automated method. 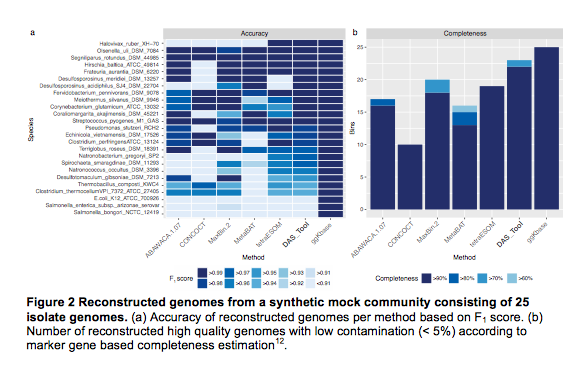 Further, when applied to environmental and host-associated samples of different complexity, DAS Tool recovered substantially more near-complete genomes, including novel lineages, than any single binning method alone. 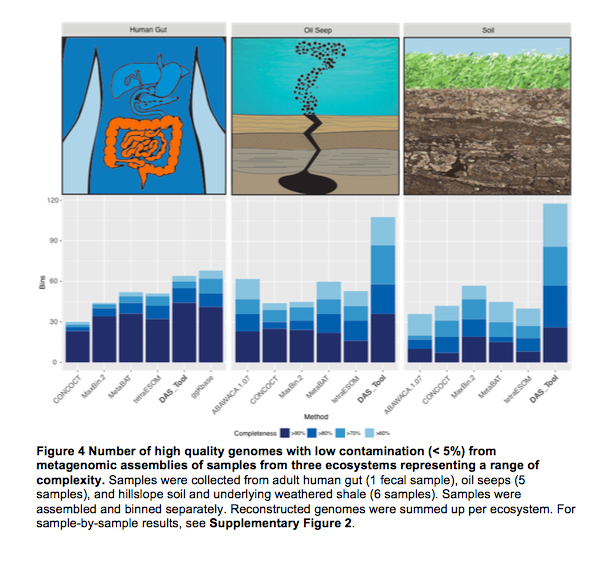 The ability to reconstruct many near-complete genomes from metagenomics data will greatly advance genome-centric analyses of ecosystems.